It’s that time of year again. Our house is buzzing with activity, from hosting out-of-town guests, to throwing holiday parties, to wrapping gifts and decorating the mantel. Not surprisingly, my desire to have a clean, welcoming home intensifies tenfold in November. Fortunately, it’s also the time of year when Mrs. Meyer’s holiday scents return. 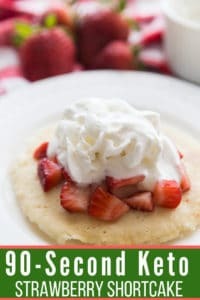 Not only do they look and smell festive, they also make the task of cleaning and doing dishes a lot more enjoyable! This year, Mrs. Meyer’s is bringing back three crowd favorites: Iowa Pine, Peppermint, and Orange Clove. My absolute favorite is the Orange Clove. I’ve been waiting all year for it to return with the holiday scents. 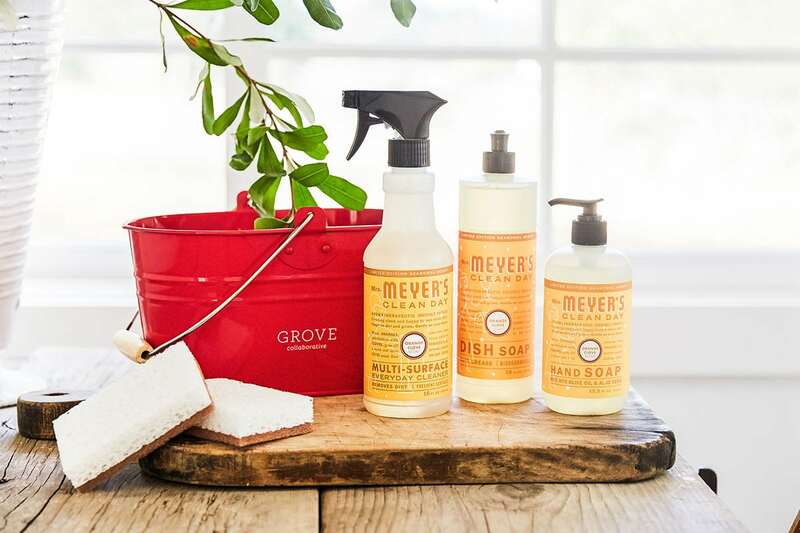 Right now, you can get a free Mrs. Meyer’s trio in your choice of scents, plus a free set of Grove Collaborative walnut scrubber sponges — all packed up in a limited edition red cleaning caddy for gifting (or keeping!). This beautiful red caddy is everything you need to organize your home for the holidays! While you could go the traditional route and use it to store your cleaning supplies, it would also make a great gift wrapping station stocked with tape, ribbons, markers, and tags. Or, wrap your silverware in napkins, secure with a napkin ring, and place them in the caddy for your holiday buffet. If you’re already a Grove customer, you’ll get a free set of Grove walnut scrubbers — perfect for cleaning up after baking cookies or pumpkin pie. 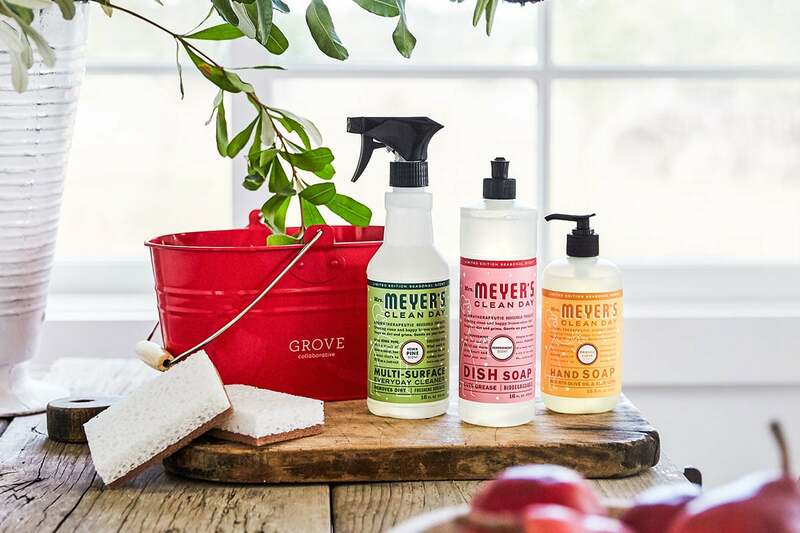 After your first order, Grove will recommend a personalized monthly shipment so you never run out of the products you love. You can customize your basket or shipment schedule with a few clicks. If you’ve been thinking about trying Grove Collaborative, this is your chance! When you sign up here, you’ll get the free holiday set PLUS free shipping and a free 60 day VIP trial. For 60 days, you’ll get free shipping, free gifts, price matching, exclusive sales, and personal service.